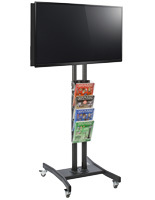 These TV Stands Are Fantastic Marketing and Educational Displays For Companies, Museums, Schools, Restaurants, Stores, and Much More! 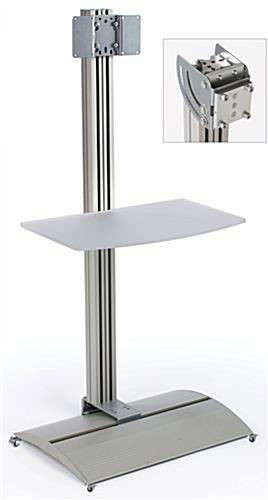 Purchase This Monitor Stand Today And Experience The Versatility! These TV stands include a VESA bracket. 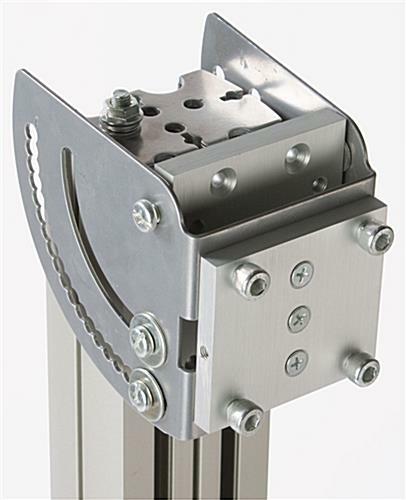 These brackets are designed with television manufacturers to hold most 23" to 30" plasma or LCD TVs that weigh less than 50 lbs. The LCD stands, TV stands have all necessary hardware included to mount your television included, though some TVs will need specific screws you can purchase at a local hardware store. 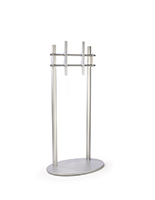 These TV stands, also called an LCD stand or monitor stand, have a large acrylic shelf that easily fits merchandise or even a DVD player on the front of the stand. These plasma showcases are the TV stands most commonly found at trade shows, casinos, retail stores, and in business lobbies. This television mount is the top seller suited for your Samsung. 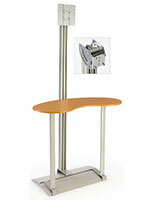 The TV stands can mount a 23" for the best possible tradeshow and event display. This LCD mount is VESA compatible making it the ultimate unit for Samsung televisions. 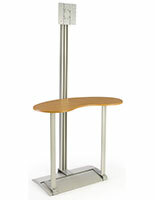 Mounting a 23" Samsung TV to this stand will fascinate passersby and attract them to your company. 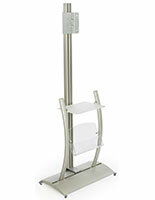 This LCD mount can be displayed in any location and will appeal to current and future customers. 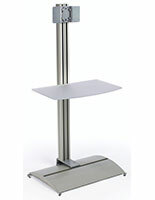 These TV stands also come with a tilting bracket, making it easier for potential customers to see what you're advertising. Four plastic strips that fit along channels on the back of the plasma stand help to keep wires concealed. 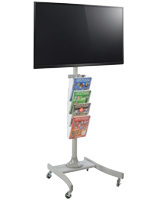 Made of durable aluminum with a satin silver finish, the TV stands, like a flat panel display or screen stand, fit in with most settings and are strong enough to be used in heavily trafficked areas without worry. We ship these TV stands unassembled to keep shipping costs down, and set-up will only take a few minutes. 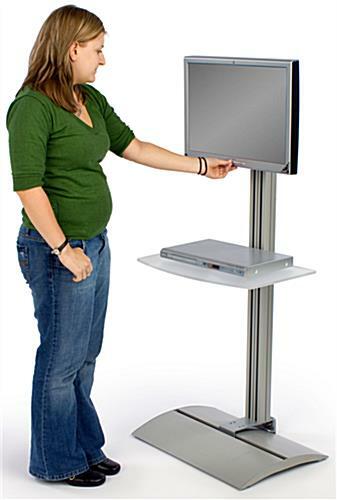 TV stands, like an LCD stand and a screen stand, use the latest in technology to help your business keep an edge on your competitors.